Wall-Rail Detailer is a lisp routine that draws Wall-Rails left or right, fast & easy. Also, the leaders w/ annotation & the slope call-out, adjusts themselves so they don't overlap anything. There is also a built-in "setup" function, so user can quickly use their default sizes, over & over again without having to enter them each time. Keeps track of the bracket & lag bolt/screw quantities! Downloadable Wall-Rail Detailer Demo program. 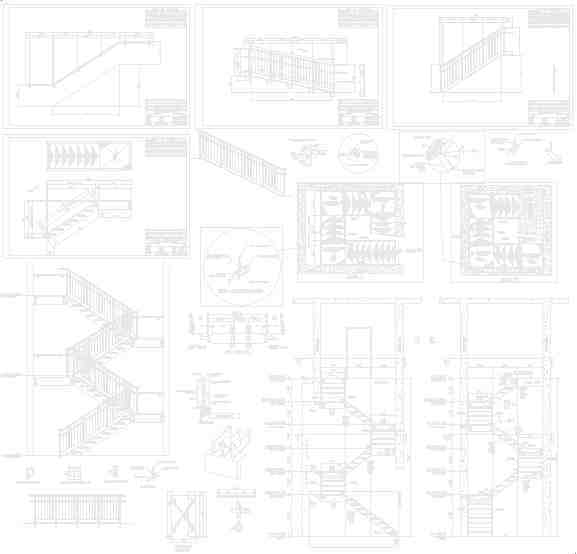 Draws pipe Wall Rails for a shop drawing.